Be sure to check out the 5-STAR ENDORSEMENTS below. Other Books in "A Nephilim Thriller"
"Devil's Dance offers some curious juxtapositions between good and evil, first with the first-person narrator and protagonist's own uncertain position first as a Nephilim (the product of a fallen angel father and a human mother) and secondly due to his own choices as a killer who enjoys killing but chooses to side with the angels in a battle between good and evil. "As if this dilemma wasn't enough to power an intriguing story, Jeff Altabef adds a murder investigation into the paranormal mix, outlining a serial murderer's rampage and Steven Cabbott's efforts to resolve a mystery where everyone's soul is threatened. "Altabef excels at creating a delicate dance himself between a story of good versus evil and the conflicts in a quasi-man's heart. This dichotomy adds a layer of complexity to the story line that not only keeps readers guessing, but lends to a closer examination of the emotional and spiritual stakes in life choices. "With the ultimate battle between good and evil powering a deeper story of murder and a protagonist's heart, readers of Devil's Dance, whether they be newcomers to Steven's persona or familiar fans from the prior book, will find this story compellingly hard to put down." "This second book in the author's 'A Nephilim Thriller' series continues to draw readers into its supernatural-tinged dystopian storyline with its fast action, creative plot, and well-developed characters. The author dives deeper into and expands on the religious, mythological lore of angels and demons and succeeds at making it palpable and relatable without being too hokey. The idea that technology can be used as a vehicle for evil is an old concept, but it’s particularly appropriate and clever in this novel. "The protagonist, Steven, is witty and clever as always. but his struggles with his Nephilim identity and his ability to control his darker nature are more interesting and add more flavor to the story. They also reflect the greater theme of this particular novel: giving in to freewill or keeping oneself in check via morality. It’s a common topic in many religious novels, but the supernatural twist really plays up that balance of the light battling the dark or good versus evil theme." "The characters are well developed, while some will endear themselves to you. I found this novel enticing, stimulating, and spectacular. The author’s ability to trigger visual images is impressive, though some of those images are scary. I ended this novel excited to find Jeff Altabef has more books in this genre for those who love thrillers." "It's an action-packed plot told in the first person narrative which makes it feel somehow more personal. There are plenty of twists and turns along the way and the book grabs you from the first page. It’s written to draw a reader in and bind them to the story, living it and feeling it until the very end. The characters are excellent, really well developed, and I don’t feel that I missed out on any development by not reading Book 1 [Devil's Den]. However, it's probably best to read them as a series to get the full picture. Great book, recommended for fans of thrillers who want that little bit more to a story." 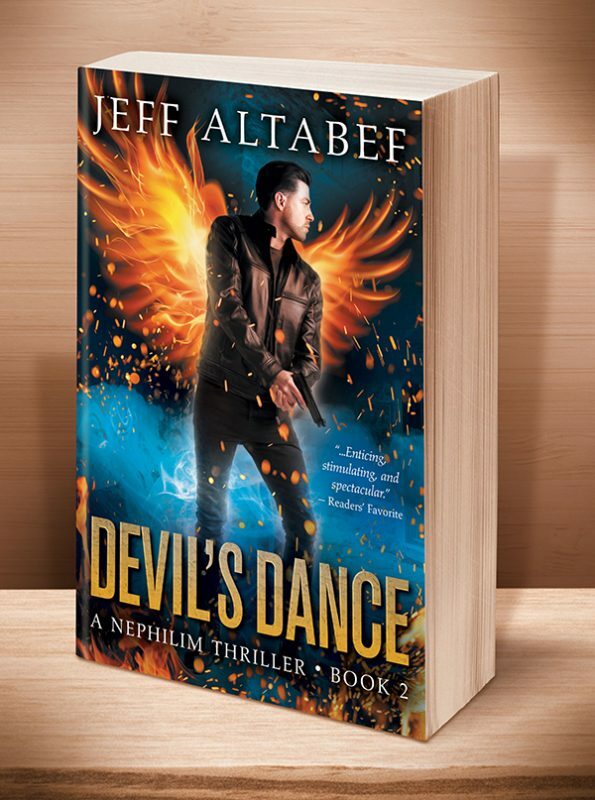 "Though part of the 'A Nephilim Thriller' series, Jeff Altabef's Devil's Dance is a stand-alone novel that combines action and adventure with aesthetic wordsmith skills equal to the literary masters of our time. "I'm lost in the moment—her eyes are an emerald sea—the sparkle, the life, and the pain she'd endured all swim in the water" is but one example of the expressive prose smoothly integrated into the fast-paced action. Altabef mixes a mystery thriller with a character-set right out of biblical lore, without a hint of religiosity, and makes it work to perfection. The protagonists are easily empathetic and familiar; the villains are exceptionally nasty and abhorrent. 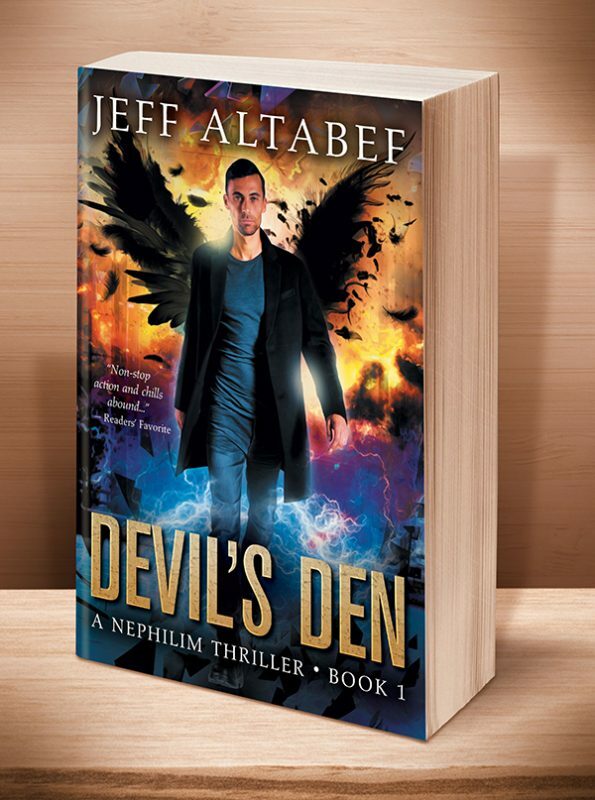 Readers of science fiction, fantasy, and action, with references to heaven and hell, will surely find Devil's Dance the first step into a growing love affair with the 'A Nephilim Thriller' series and the writing of Jeff Altabef." This entry was posted	on Wednesday, December 5th, 2018 at 1:02 pm	and is filed under . You can follow any responses to this entry through the RSS 2.0 feed. Both comments and pings are currently closed.